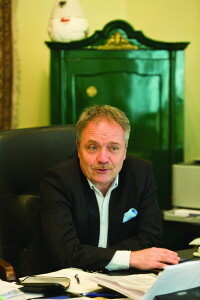 “The West Balkan is still an economically underestimated region.” This is Attila Galambos’ firm belief, and as such it is the foundation for his consulting company Communautrade-Europe Kft., which calls the attention of potential investors to this region and advises during their further activities. Galambos came into contact with the region in a rather indirect way. The diplomat and economist used to work for a socialist foreign trade company. First he was responsible for the countries of the Far East, including Vietnam, Cambodia and Laos. Finally, thanks to a coincidence, he met the general director of a newly founded Albanian bank at a reception in Budapest. They both liked each other right from the beginning. This is how Galambos started to focus his attention on Albania, a country that was just waking up from Stone Age communism. Reorientation took some time, while he made himself independent and founded his own commercial company. While most of his colleagues at that time were struggling to become part of the booming east-western trade, Galambos deliberately chose to place his bet on the underdog, Albania. “I was sure about it right from the beginning: there is potential here.” This is why he started to investigate diverse possibilities. He travelled to Albania once a month for this aim. Time passed by. However, the decisive deal was not knocking on the door yet. After a year and with growing anxiety he finally booked a little success: his company won the tender of the Albanian national bank, where they were looking for suppliers for the establishment of a commercial banking system. This business had a good volume and it was implemented with success. However, the contacts made at the relevant trainings were far more important than the resulting income. Numerous bankers, who played an important role in the Albanian financial world in the upcoming years, met Galambos at that time and found that he was a fair and reliable person. This was supposed to pay off sometime. In the next period many different foreign trade businesses sought his advice. Finally this was how he found the “business of his lifetime”. This was a rather unspectacular but a much demanded export good: frozen poultry from Hungary, which was a very sought-after article in Albania at that time. “Within a short time I became the largest Hungarian exporter of this product,” Galambos remembers. Business was going amazingly well in the mid-1990s. He delivered more and more products to the markets of ex-Yugoslavian countries. The fact that the business was going so well was not only explained by the quality of the Hungarian poultry products, but also by the attractive subventions paid by the Hungarian government back at that time on a bilateral basis for agrarian exports, and more than that, the government was actually able to pay these sums. However, this practice was ended in 2004. When Hungary entered the EU, the system of bilateral export subventions was finished in an instant. This meant that the attractive Albanian and ex-Yugoslavian market was lost for the Hungarian animal breeders. Galambos delivered the last batch of poultry in 2007. As this business opportunity was finished, he started to look intensively for new opportunities again, which were still abundant. “In any case, I wanted to stay loyal to the region. This was the only way to profit from my expertise on the region, which has grown significantly in the meantime, and my local network.” In the following years he acted as a consultant for the bus manufacturer Ikarus and OTP, the largest Hungarian bank, and many others during building their export businesses in the region. Finally he engaged himself in the booming residence and hotel construction in Albania, this time already as an investor. Furthermore he started to market his regional knowledge as a consultant on this region in a growing tendency. More and more companies were interested in working with this region. As for the most important benefits of the West Balkan countries Galambos immediately mentions the labour force conditions, which are much better than in Hungary. Additionally none of the six countries – Albania, Kosovo, Bosnia and Herzegovina, Serbia, Montenegro and Macedonia – are expected to become EU members in the near future, meaning that the EU labour market won’t be opening to them anytime soon. In consequence the labour markets of the region are not expected to bleed out towards the western EU countries as much as the ones of the Visegrád countries did. Considering the working culture it has a positive effect that there is someone in almost every Yugoslavian family who has spent a few years as a guest worker in Europe and therefore has relevant experience. Although the EU entry of these countries is still a question of time – Serbia is considered as the first candidate to enter in about five years – all of them are willingly working for their EU membership. This means among other things that the national legislation is being adapted to the EU standards step by step, but also that these countries are striving to have good relationships with relevant EU countries. This could result in good and reliable relationships with the foreign investors for them. According to Galambos some of the six West Balkan countries have already developed a veritable investor network. The governments are trying to outdo each other in offering as attractive local conditions as possible. In this context these countries can still benefit from the fact that their EU membership is missing: their governments can act in a much more flexible way during the definition of investment aids than the ones of the EU member countries. “The ones who benefit from their competitiveness and a near, but not yet existing EU membership are the investors in any case,” Galambos is sure about that. Specifically looking at the more and more precarious Hungarian labour force situation he could imagine that Western investors active in Hungary, which are not able to grow, or at least not to grow at the wished pace, might find a way out from their misery in a West Balkan country. At the same time, the fate of the Hungarian jobs could be secured (because the companies are not necessarily forced to leave Hungary completely) and there could be a logical division of labour applied, for example dividing their activities into simpler and more complicated jobs. In case any Western company active in Hungary would decide to invest in any of “his” countries, Galambos advises them to take this step not directly by the parent company, rather indirectly over the Hungarian branch and if possible, under the supervision of a local manager. The reason is a certain cultural similarity, which makes co-operation between Hungary and their southern neighbours so much easier. Furthermore, according to the experience of Galambos, Hungarians have a high reputation in all of these countries regardless of any historical or other resentments. Besides the daily work of many Hungarians in and with these countries, the general constellation of the countries should also be the reason for this positive reputation. “The non-pervasive and therefore relatively open Yugoslavia used to be clearly more developed as most of the countries in the Eastern Bloc. We noticed the free Yugoslavia with its full shop windows. The civil war demolished this advantage. In the meantime a lot of ex-Yugoslavians turned towards Hungary, which worked its way up nicely from a relatively bad original situation after the political turn. Hungary is regarded as an example in many countries of the region and enjoys a good image,” Galambos explains. In addition to his general experience the consultant is also able to support his clients with a variety of contacts to decision makers in the region. “I have a good relationship with all the governments of the countries in the region,” he claims. His growing regional network is fed not only by his own economic activities, but also some further connection points. One of them is for example the Honorary Consul of Hungary in Macedonia and the president of the West Balkan region in the Hungarian Chamber of Industry and Commerce. His partners in the consulting company are among others Gábor Gérnyi, another foreign trade professional, whose name should ring familiar to many Germans with active business activities in Hungary, since he has been working on German-Hungarian relationships for more than a decade. “Don’t your partners in the regions find it offensive that they are grouped under the pejorative term West Balkan?” we finally asked Galambos. “No, not at all,” he explained firmly. People living in this region are neutral towards this terminology and for sure no way as negative as we are. Especially since the term “West Balkan” is not even correct and is more of a political category created by the Westerners during the solution of conflicts following the ex-Yugoslavian civil wars. 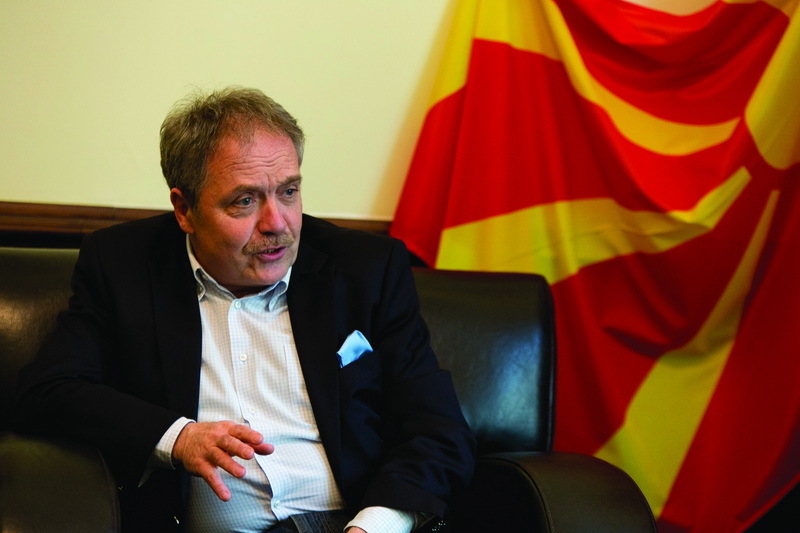 “Even if the people do not care much about the term ‘Balkan’, the partners are very vulnerable when they are being treated in a patronising way due to the development state of their countries,” Galambos warns. This Man is a true entrepreneur. He worked the system and kept pushing and finally saw his opportunity, Though I bet he never thought he would make a fortune selling frozen poultry! it goes to show you need to be flexible.